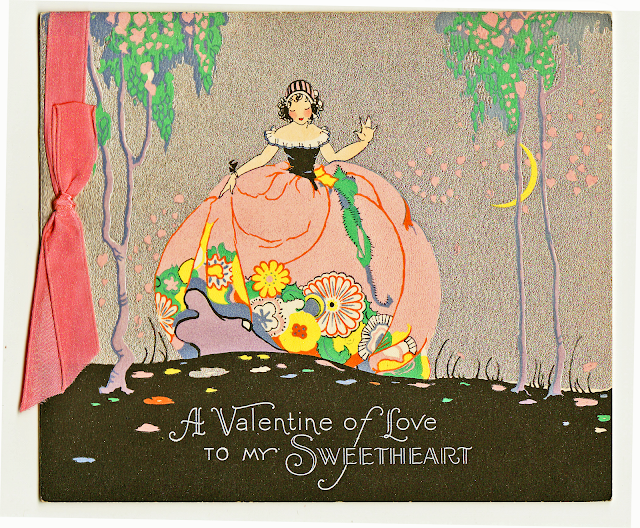 The Cedar Chest - antique postcards, vintage photographs, forgotten ephemera: Happy Valentine's Day! 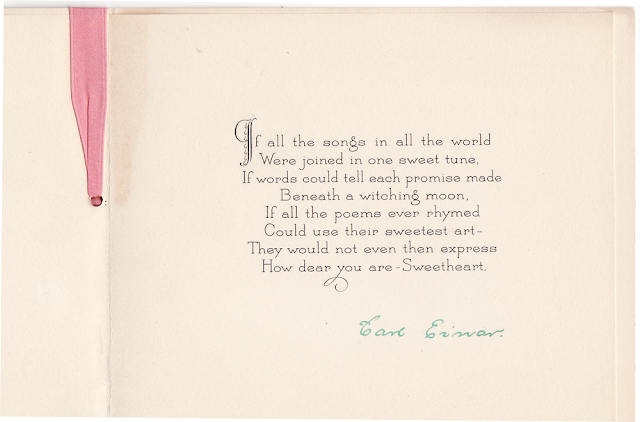 This card is one of the most beautiful I have ever seen. I only wish it could scan as pretty as it is. The silver metallic background and the bright pink dress and dappled trees are getting lost a bit in the translation, but the sentiment is crystal clear and so lovely.